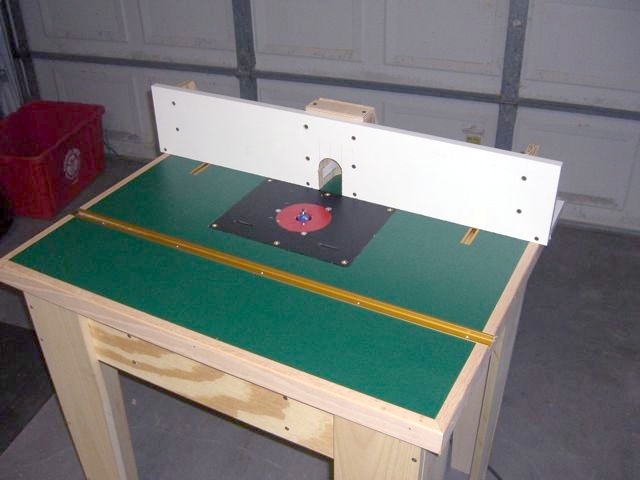 I had no router table in my workshop, and only a single 1 3/4hp fixed speed Porter Cable router to work with at the time. So I decided to build one. This was one of my 'Quick and Dirty' projects. I didn't want anything fancy, just something sturdy. 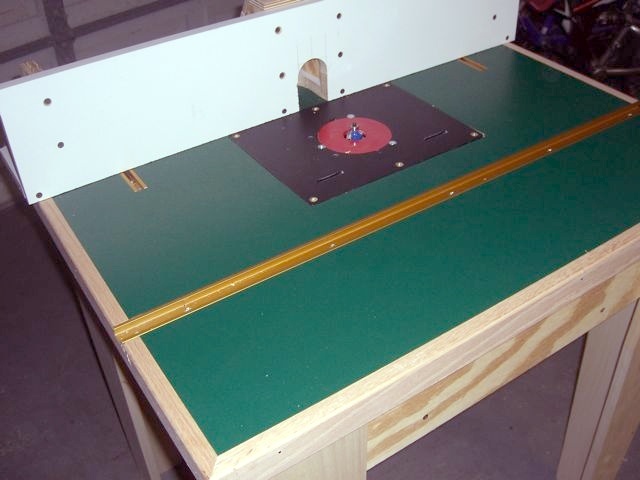 In the woodworking world, there is almost nothing written about more when it comes to shop improvement projects than building your own router table. So I had a target rich environment. I looked at lots of options. Building legs for a fancy blue Rockler table top. 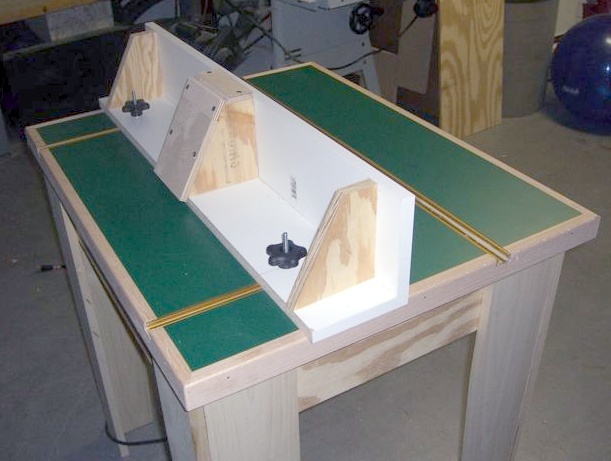 Building the table into my (then nonexistent) table saw outfeed table. Building one that tilts up from the wall. 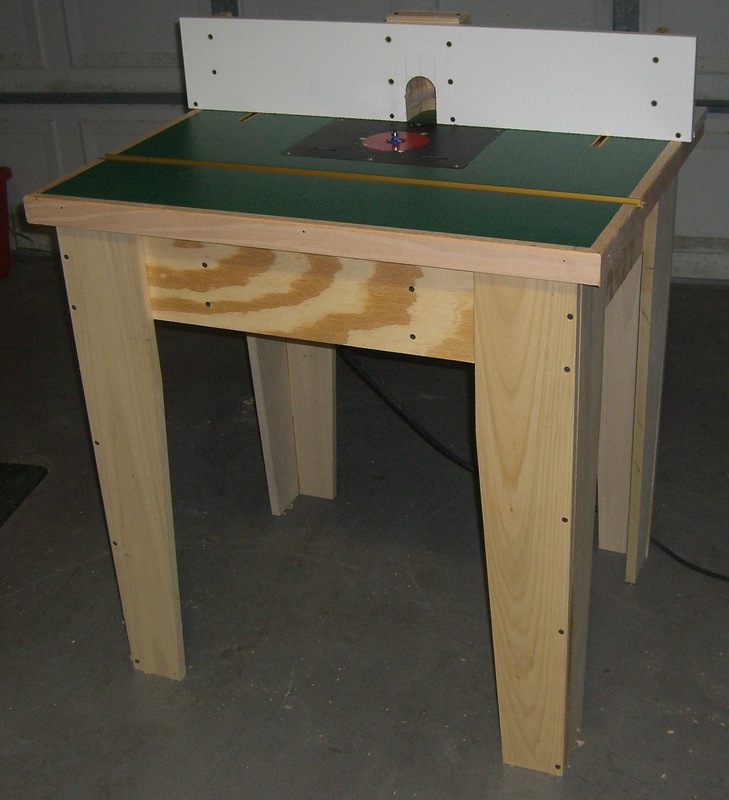 Building a simple table and inserted a fancy lift like those offered by Woodpecker or Rockler. But most of those ideas where just too advanced or too specialized for me. I needed basic, sturdy table with a simple fence. 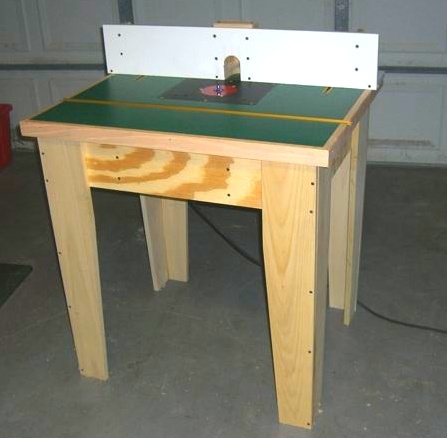 I finally opted to go for the design described by J. Peter Schlebecker in his now classic Fine Woodworking article called "Rock-Solid Router Table" from December 2007. It was built out of cheap materials for a school, so it was intended to be sturdy as hell, and to suffer the bruises of newbies using the hardware. Perfect for me. 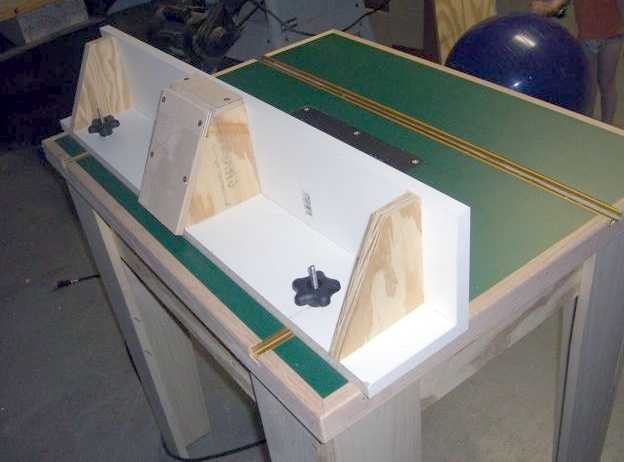 It had the added benefit of featuring 1" thick MDF as a substrait and laminate as the table top, both of which I had on-hand. I had had to buy a full sheet of the kelly green laminate to build my hall table project the year before, so I already had laminate and contact cement in the shop. The only downside was that the laminate is a dark color, which isn't ideal for making marks for jig and part locations. But mostly, that has not been a problem. One of the best turn-outs on a shop project yet. This thing is built like a tank, with two layers of 1" MDF serving as the substrait for the table top laminate, and the red oak surround miters fitting together like they grew that way. The legs underneath are functional and strong, and I've longed to build a shelf or cabinet down there, but so far, it's served it's purpose admirably. I'd also still like to add wheels, but the inherent sturdiness of the design would be undermined a bit if I install even locking casters. One of the few pieces of shop furniture not on wheels, I don't mind sliding or carrying (OY!) around when necessary. The biggest add-on I need at this point is a power switch attached to the leg, as in the original design. It would increase the comfort of using this setup.